Developed concurrently with the Boeing 767 in the late 1970s, the Boeing 757 entered commercial aviation service in 1982. Nearly 40 years later, the 757 is still considered one of the most capable narrowbody aircraft in the sky. Capable of flying both transcontinental and transatlantic, the Boeing 757 has a published range of up to 4,500 nautical miles. 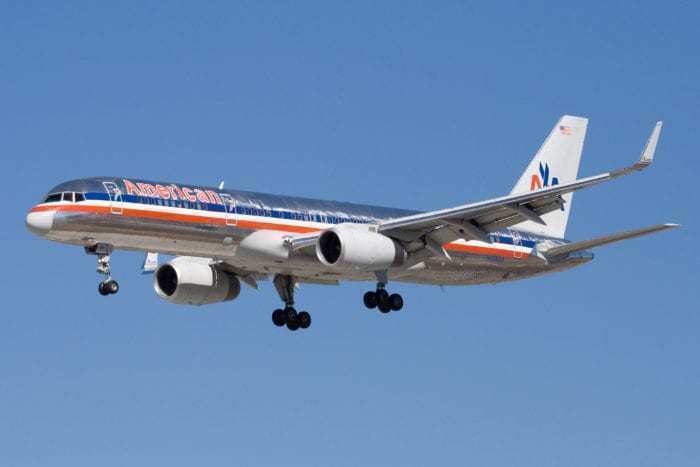 The 757 was a major success with US airlines given its strong performance profile. American, Delta, and United – the US3 – all fly the aging 757 on routes short and long. American Airlines Boeing 757-200 with winglets. Image by Wikimedia. The 757 is noteworthy for its performance in hot, high, and dry airfields – think Denver (DEN) or Bogotá (BOG) – as well as short-runway airports like Orange County (SNA) and Washington National (DCA). Its range is significant, especially for a narrowbody; the Boeing 757 can comfortably fly six or seven-hour missions, like coast-to-coast flights in the US, transatlantic, and more. American, Delta, Icelandair, and United all fly the Boeing 757 on seven-hour flights. Image by GCMap. Icelandair is really pushing the Boeing 757 range with a few one-off flights from Reykjavik (KEF) to San Francisco (SFO). Icelandair has shuffled its fleet around due to the Boeing 737 MAX grounding – the 4,200-mile route is normally operated on a 767. In the 1970s, airlines saw their operating costs skyrocket with the onset of the oil crisis. Boeing was forced to cut its workforce by 36,000 – tw0 thirds of its employees – over a three-year period just to stay afloat. As economic uncertainty loomed, airlines began pushing for more fuel-efficient planes. Feeling the pressure, Boeing aimed to develop a new family of airliners that maximized commonality and minimized design, development, and production costs. Boeing initially looked at stretching the popular Boeing 727 with a new variant, the 727-300 ‘stretch’. The new design would maintain commonality with the Boeing 727 and Boeing 737 family. The 727-300A and 727-300B were revealed at the 1975 Paris Air Show in an attempt to lure United Airlines into purchasing the stretched frame. 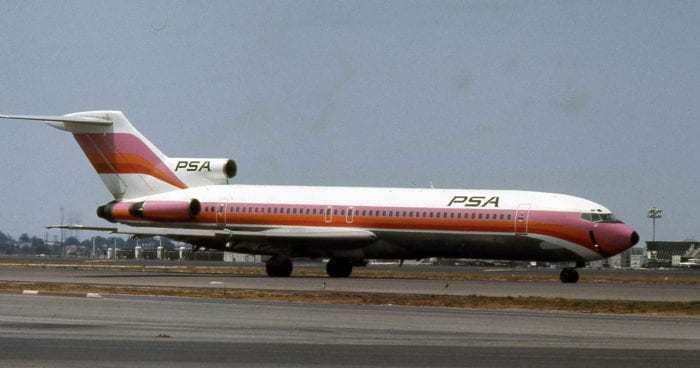 Boeing 727 operated by Pacific Southwest Airlines (PSA). Image by Wikipedia. United lost interest in Boeing’s stretched 727-300B offering; amid an economic downturn, United was concerned about the fuel efficiency of a three-engine plane. Boeing instead focused on increased commonality with its popular 737 airframe, eventually achieving nearly 50 percent similarity. Boeing dubbed its new aircraft the ‘7N7’. By the late 1970s, the 7N7 adopted a T-tail design – similar to the 727 – and two wing-mounted engines, breaking from the previous trijet (three engines) design. Boeing briefly considered making the 7N7 a widebody with seven-abreast seating but decided it was too close in design to the 7X7 – now known as the Boeing 767. 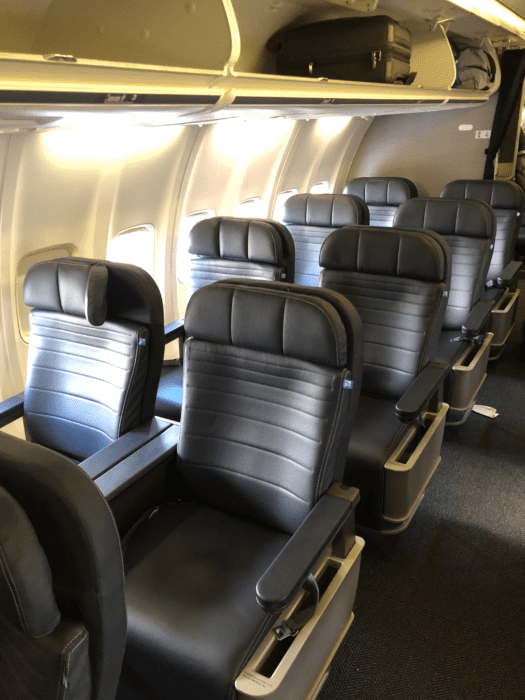 Boeing returned to a traditional six-abreast, narrowbody frame with a seating capacity of 170 passengers (airlines were a lot more generous with seat pitch in those days). 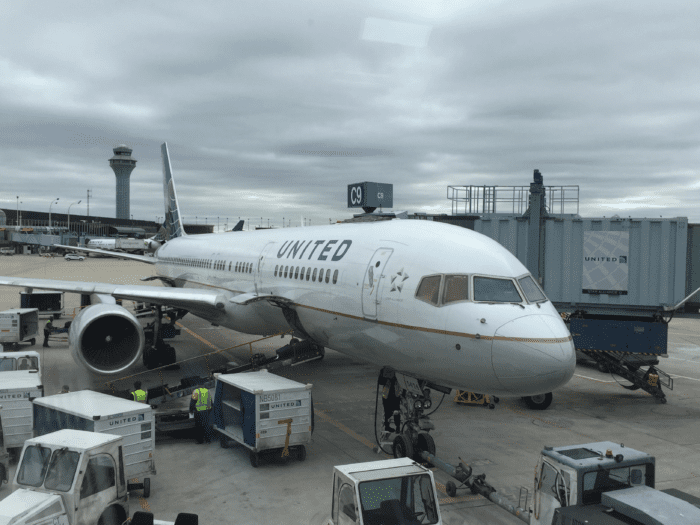 United Airlines Boeing 757-200 seen at Chicago-O’Hare (ORD) in 2018. Photo by Sam Roecker. British Airways and (defunct) Eastern Airlines were Boeing’s primary launch customers for its new 757 aircraft. Boeing initially offered a shorter 757-100 – closer in capacity to the DC-9/MD-80 family – but later dropped that concept. The frame was stretched a few more feet and the 180-seat 757-200 emerged. In 1978, British Airways purchased 21 frames and Miami-based Eastern Airlines purchased 19, launching the 757 into commercial success. United was initially interested in becoming a 757 launch customer, but instead opted for the slightly larger 767. United later became one of the largest operators of the 757 and now flies both the 757-200 and 757-300. Delta Boeing 757-200 with winglets. Image by Delta. The Boeing 757 is a passenger favorite, most notably for the ability to “turn left” for first class. Most airlines use the second set of doors – doors 2L/2R – for boarding. This procedure allows for a more civilized boarding process, especially for the 20-24 first class seats between doors one and two. United Boeing 757-300 first class cabin. Photo by Sam Roecker for Simple Flying. In 1996, Condor – at the time, a Lufthansa subsidiary – became the launch customer of the stretched 757 variant, the Boeing 757-300. As a leisure carrier, Condor wanted increased capacity for its European holiday routes – in addition to similarity with its existing fleet. The first 757-300 was delivered to Condor in May 1999. 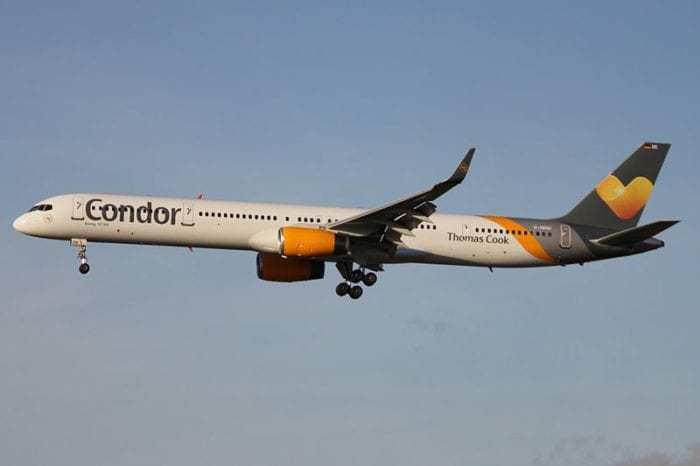 Condor was the launch customer of the stretched Boeing 757-300. Image by Wikimedia. Boeing added an additional pair of exits behind the wing and increased the capacity to a whopping 252 seats! The 757-300 still holds the record for the longest single-aisle twinjet aircraft in history. Despite its popularity with operators, the 757-300 was largely a flop. Just 55 airframes were built, with all remaining in commercial service with a handful of airlines: United, Delta, Icelandair, Thomas Cook (and Condor), and Arkia Israel Airlines. 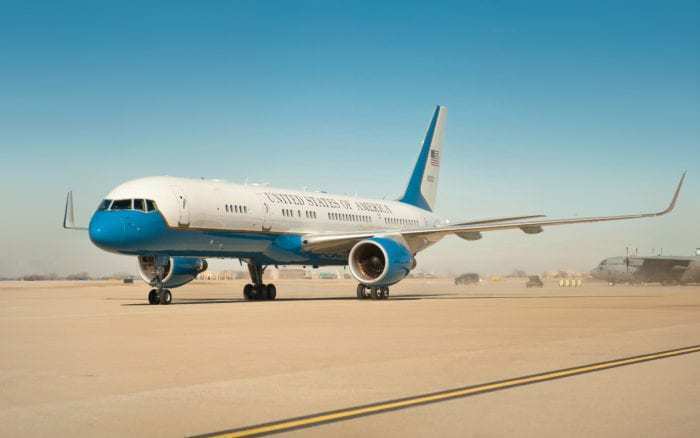 Air Force Two, a Boeing 757 variant known as the C-32A. Photo by Wikimedia. As sales dwindled and the entire aviation industry was rattled by 9/11, Boeing decided to end production of the 757 in 2003. At the time, Boeing believed its next-generation 737 family and new Boeing 787 would fill the market void left by the aging 757. Boeing delivered the final 757 in November 2005 to Shanghai Airlines – the 1,050th 757 built – ending the 23-year production run. Despite the airframe’s age, all three major US airlines still fly sizeable 757 fleets. Delta is the largest operator in the world with over 100 frames. Even today, there is no true 757 replacement. Thanks for reading, @AircraftLover! I agree, the 757 is one of the best. Boeing bowed to pressure from SWA when canceling the 757 in favor of the stretched 737. Bad decision. An updated 757 with geared turbofan engines would have been a world beater. With +10000 hours in both 757/767’s and Airbus A330’s I can assure you that the Boeings are easier to fly, are more robust structurally and have fewer systemic problems than their competition. Thanks for your insight, JD. I completely agree, Boeing made a huge miscalculation by ending production. Ironically, airlines now want a long-range narrowbody…go figure. The A321neoLR is a great plane but can’t (yet) match the 757 performance. I would love to learn a bit more about your very last sentence, “Even today, there is no true 757 replacement.” What are the nearest proxies to the 757? Is there a market for the 757 today? I have been thinking about the 757 a lot in the wake of the news reports discussing how the 737 Max uses some of the same tech from the original 1960s 737. If the 737 were to be decertified tomorrow, what would Boeing sell its customers, a 787! ?